And what about Google+? Where does it fit into the Internet Marketing puzzle? Simply put, Google+ is a different beast altogether. Google+ is a social network that first made it’s appearance in 2011. When it hit the scene, many skeptics questioned whether another social network was really needed and whether users would flock to Google+ in droves as Google had hoped. The answer is no. Facebook and Twitter still have a commanding lead in the social space and for the most part, their users are much more active than Google+ users in the social sense. So if that’s the case, why are we talking about Google+? Since Google Search was first introduced, Google has been the go-to search tool for everyday internet users. Google search, adwords, adsense and other Google technologies appear and are used on a broad range of services and devices, which can help businesses to direct targeted traffic to their websites. Some might argue that Facebook and Twitter are just as lucrative in terms of traffic but as we noted above, it all comes down to the type of traffic being generated. Google traffic is highly targeted and in many cases carries with it the intent to buy. As this section header states, Google is still the undisputed King of targeted traffic and as a business, that’s the type of traffic you ultimately want. How Does Google+ Enter into the Mix? At some point Google realized that simply creating a social network to rival Facebook and Twitter was not necessarily in their best interest. Google wanted to take it a step further by integrating it with many of Google’s existing services and by integrating it into Google’s search algorithm. In other words, a strong Google+ presence can positively affect a business’ Google rankings for it’s targeted keywords. Did you get that? Google+ can help you increase your keywords rankings in a very real and direct way, which is not the case with other social networks. More directly, high Google rankings equals targeted traffic. Targeted traffic equals more visitors, higher conversions and more sales. I think you get the point. But what is it specifically about Google+ that gives it and your website the leg up with regards to Google rankings as compared to other social networks? Read on and I’ll tell you! Google+ is all about content and sharing. That’s nothing new for social networks. The difference is that Google Search is using Google+ to find new content and to index this content almost immediately. This content isn’t limited to just the post itself but also includes crawling and indexing links contained with in Google+ posts. In other words, if a link to your new web page is contained in a Google+ post, you’re all but guaranteed to have your page indexed very quickly. This is not the case with other social networks where privacy constrains prevent them from doing so or in the case of Twitter, who no longer provides Google Search with real-time Twitter feeds. It’s commonly known these days that part of achieving high rankings for your business is to generate back links to your website. Back links help your website to build trust in the form of PageRank, which is a measure of how important a page is on the web. Obtaining a link from a web page with PageRank, will elevate your PageRank by sharing with you some of it’s link equity or as us SEO Experts like to call it, Link Juice. The higher your PageRank, the higher the trust Google Search puts on your web page when generating results for your specific keywords. So again, what makes Google+ so special in this case? First, Google+ profiles and pages can accumulate page rank and secondly, since links in Google+ posts are followed, they can share link juice to linked pages as well! One fundamental difference between Google+ and other social networks is that Google+ is structurally more blog-like in it’s format. Each post has it’s own unique URL, Title Tag and any shares of your posts within the Google+ network are treated in much the same way as internal links on a blog website. These links pass PageRank link juice internally and are targeted with keyword specific anchor text. These are all good things when it comes to bolstering your own Google+ pages and profiles, let alone your own website’s PageRank. So How Can Google+ Take You to the Top? In future articles we’ll elaborate on specific steps further but for now we’ve put together a list of the most important things you can do to build your Google+ presence and in turn help your SEO efforts for your money sites. 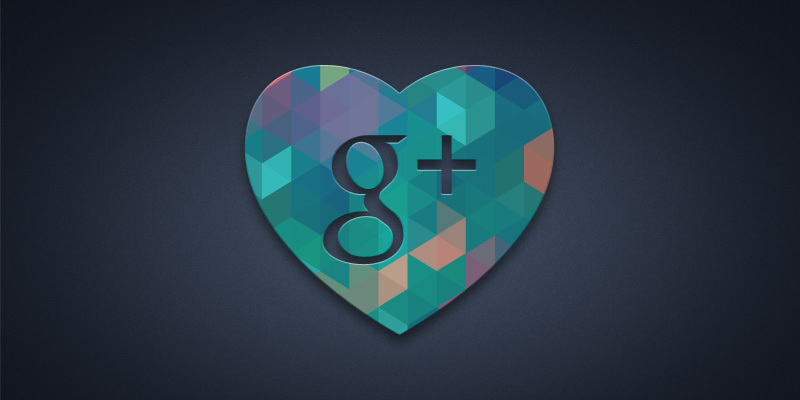 Build Relationships – Google+ is a social network after all. Start following industry leaders and commenting on posts related to your area of business. Post & Share Worthwhile Content – Just like your website, you should only post meaningful and worthwhile content that attracts back links. Google Authorship – Adding Google Authorship to your published online content will ensure that your Google+ profile gets the credit it deserves. Connect to Your Brand – Be sure to open up a Google+ page for your company and to connect it to your website. Make It Your Hub – Link to all your web profiles and properties from your Google+ profile. Make Your Content Shareable – Share your content and allow others to share your content easily as well. Complete Your Google+ Profile – Don’t skimp on the details. Google will use this in SERPs and when recommending you to others. Follow Me – Make it easy for anyone to follow you and your business. Make sure your internet properties include the buttons to do so. Keep it Public – What’s the point of posting if you’re unwilling to share it to the masses? Use Facebook if you want to share to family and friends! We’ll be the first to admit that Google+ differs from the big two social networks and in some ways lacks the user-base and sociability they offer. Having said that, Google+’s strength when it comes to SEO and Google rankings is undeniable. Any business who relies on an online presence of any kind is well advised to get involved with Google+ right away. There’s no time like the present to build up your Google+ profile and company page. Contact us if you need help building your Google+ strategy.